The Metro is the most popular transportation system in Barcelona, with 12 lines, a length of 150 Km (93 Mi) and 186 stations, stands as the second longest underground system in Spain. By far, is the fastest and easiest way to move around Barcelona. The Barcelona Metro system is extremely intuitive and easy to use. In fact, all the signs in the whole network are written in Catalan, Spanish and English. The Barcelona Metro has a wide variety of tickets to suit everyone’s needs. 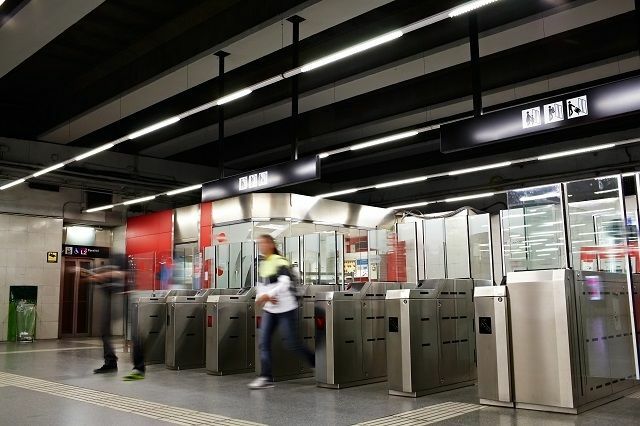 Tickets can be bought directly in every Metro station through automatic vending machines, all accepting cash, credit and debit cards. Buses on board only sell single tickets (2,20€). The Barcelona transport system is divided into six zones. 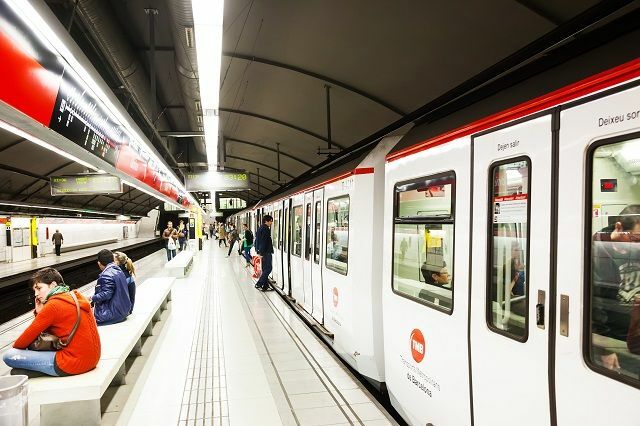 Zone 1 covers all the Metropolitan area of the city, so unless you’re planning to travel outside Barcelona, you should stick with Zone 1 tickets. All Metro tickets are integrated and can also be used for Buses, Tram and FGC Railway. RENFE short distance train service works with separate tickets. Aimed to tourists, this ticket gives you unlimited use of the whole transport system for one day. Notice that it’s valid from the moment you validate until the end of the day, (it doesn’t work for 24 hours). Requires passport number and it’s a one-person ticket. Price: 8,60€ (Zone 1). This is the most popular ticket used by the Barcelona residents. It’s worth for 10 rides of any lenght and allows transfers without charging a new ride for up to 1 hour and 15 minutes. It can be used by several people simultaneously. Price: 10,20€ (Zone 1). Works exactly like the T-10, except that is worth for 50 rides in a space of 30 days. It’s a one-person ticket. Price: 43,50€ (Zone 1). Follows the same rules as the T-50/30 only that it gives you unlimited rides in a space of 30 days, so it’s the right choice for a long stay. It’s also a one-person ticket. Price: 54,00€ (Zone 1). Bicycles are only accepted on the first and last carriages, or indicated otherwise. Children under 4 years old can travel for free. Some stations still have the old turnstiles (Sagrada Familia for example) and the ticket gets validated on the left side. The modern turnstile (as pictured above), the ticket gets validated on the right side. Travelling with a suitcase (even of large proportions) is widely accepted. The Metro carriages are big enough to transport them easily. Every map on the Metro network clearly indicates which station is adapted for disabled people. 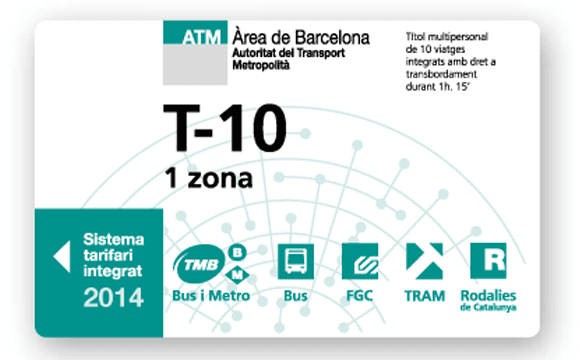 Hola BCN is a transport pass that offers unlimited access to the entire Barcelona transportation network. Features 2, 3, 4 and 5 day tickets, helping you save money in your process of discovering Barcelona. It covers metro, buses, tram, FGC Railway and Renfe suburban trains.